Head to head comparison between the best versions of The Surge. 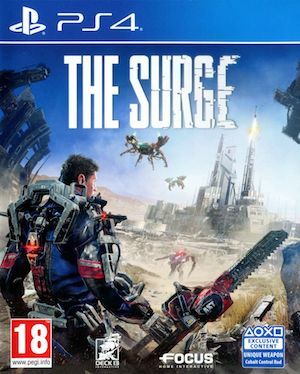 Personally speaking, Deck13 Interactive’s The Surge has to be one of the surprises of 2017. After playing it for more than 20 hours, I was convinced that despite taking several cues from the Souls series, The Surge had enough variety to keep a Souls fan like myself hooked up. Powered by the developer’s Fledge Engine, the game manages to successfully implement some fantastic lighting and post processing effects. The Surge may not be the best-looking game of 2017, but it certainly manages to create an eerie and uncomfortable atmosphere due to its smart use of intriguing art style and the sci-fi setting. In my opinion, this is as close as we’re going to get to a Dark Souls game set in a sci-fi setting unless, you know, From Software decides to make a new IP in a similar setting, Now wouldn’t that be amazing? Enough of the wishful thinking and coming back to the topic at hand, The Surge has managed to surprise us with its graphical fidelity and some exceptional support on both the PS4 Pro and the PC versions. One look at the PC graphical settings, and you won’t even realize that this is AA game…a game that should ideally be lacking resources to implement a massive number of graphical settings. There is everything here…Resolution Scale, Texture Quality, Shadow Quality, Volumetric Lighting Quality, Motion Blur Quality, Anti-Aliasing modes which includes FXAA and SMAA, Ambient Occlusion, Subsurface Scattering, Lens Flare Intensity and Chroma Shift. Seriously, AAA developers who deliver barebones PC version have a lot to learn from Deck 13. If you think Deck 13 only cares about the PC version, then you are awfully wrong. The PS4 Pro version is also packed with a number of graphical settings. First of all, the Pro version comes with two modes: Quality and Performance. As the names suggest, quality mode allows the game to run at a higher resolution while the performance mode will ensure a higher frame rate. Playing on a 4K TV, The Surge runs almost flawlessly at 30fps at a dynamic 4K resolution. The Fledge Engine manages to render the game in dynamic 4K with the image buffer mostly running at 2900 X 1680p resolution. But it’s the performance mode that will delight PS4 Pro players. The Surge runs at a full 1080p resolution with an almost locked 60fps frame rate buffer. And that is not all. The PS4 Pro version also allows you to tweak motion blur and lens flare quality along with a number of UI parameters that can be changed to your liking. Given how disappointing PS4 Pro support has been in previous games such as Sniper Ghost Warrior 3 and Prey, it’s refreshing to see the console’s power being put to some good use in The Surge. The PC version, as expected, looks and feels better than the PS4 Pro build. 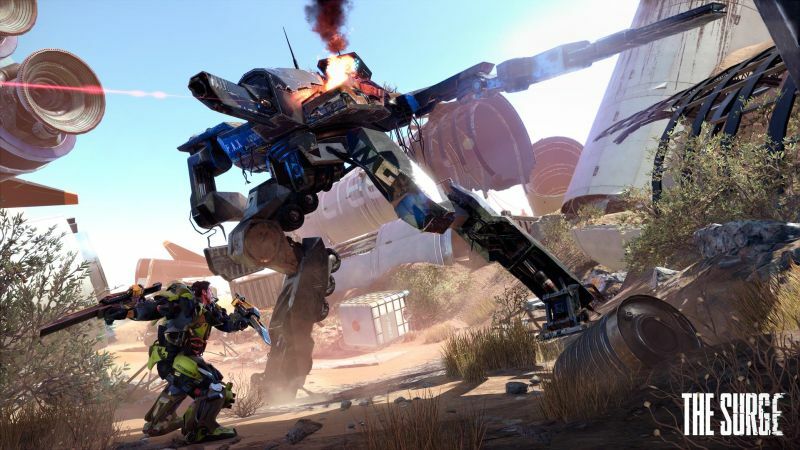 With better quality screen space reflections, anti-aliasing, texture filtering and shadow quality and the ability to scale resolution, The Surge on the PC is a better deal overall. However, other parameters such as object detail and texture quality look pretty much the same across both versions. Load times too are remarkably fast on The Surge which is surprise given that once you die the engine needs to recalculate all enemy and character states…essentially load the entire level all over again. This is something that similar games like Bloodborne struggled to do initially resulting into long load times, though it was fixed later. From a technical perspective, The Surge seems like a AAA game built with AA resources. Deck 13 have totally outdone themselves here. The game features arguably one of the best PS4 Pro features, a fantastic PC build and intriguing gameplay mechanics. PC build: GTX 1080Ti, 16GB of DDR4 memory and a Ryzen 7 1700 processor. PS4 footage seen in video above is from PS4 Pro.